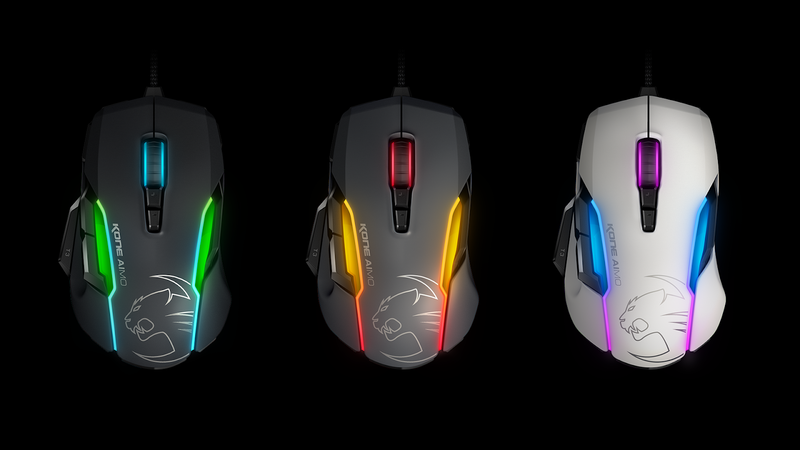 It’s been a while since we last reviewed a product from Roccat and, if the Kone Aimo is anything to go by, a lot has changed in that that time. The German manufacturer has always been known for quality and creativity, but there’s a sense of maturity to this, the latest version of its flagship gaming mouse. The Aimo is a refined and thoughtful evolution of one of Roccat's most popular products, and the result is a mouse that mixes top performance with customisation options that are hard to beat. Before we go too much further, it’s time for a history lesson. The original Kone – Roccat’s first-ever mouse – was released in 2007. It’s been the bedrock of their peripherals range ever since, and currently can be bought at least six different versions. This particular variant, the Kone Aimo, features a new chassis design, better lighting options and a well thought-out button layout. And (spoiler alert) it’s probably the best of the bunch. First impressions are good. 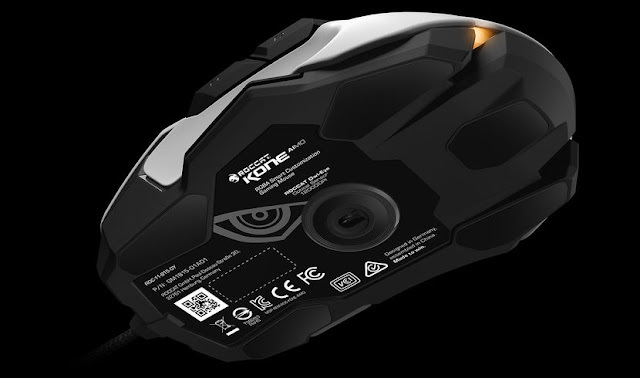 Physically, the Kone Aimo is a fair-sized chunk of plastic, with a pronounced midsection hump and a smooth matte coating on the upper contact surfaces. This means that it’s best suited to users who tend to rest their palms on the mouse. In use, it feels considerably lighter than its 132g weight, so it’s also suitable for larger-handed individuals who like to put their palms on a desk and control movement with their fingers. There’s a bit of contouring around the thumb rest but - if you’re right-handed, at least - this is a mouse that doesn’t force you to hold it a certain way. However, our testers with less than Thor-sized hands reported that the Aimo was just too big, so it’s worth trying before you buy. One of this mouse’s main selling points comes from a small but incredibly useful innovation. 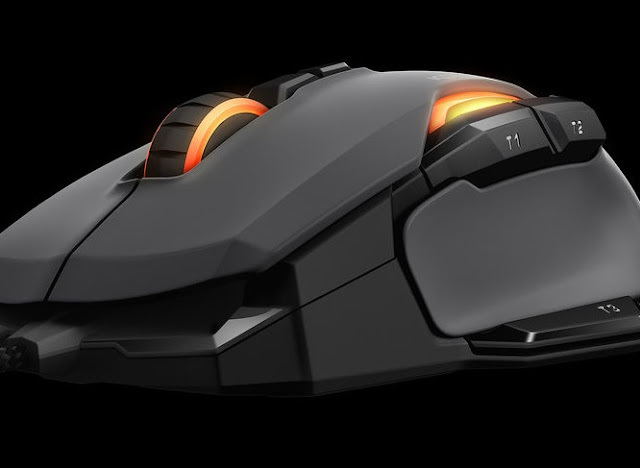 As you’d expect from a well-specced gaming rodent, the Aimo comes equipped with a full arsenal of programmable buttons. In addition to the regular left and-right mouse buttons you’ll find a nicely notched 4-way scroll wheel, two shoulder buttons, and dedicated selectors to change the mouse sensitivity. What’s new is an extra button placed just below the thumb rest. When combined with Roccat’s ridiculously powerful Swarm software, this acts as a kind of Shift key, allowing you to map secondary functions to any other button. Roccat call this their Easy Shift [+] technology, and it’s been a staple feature of most of its products for quite some time. The additional button means that Easy Shift [+] is now easier to use than ever before. Performance is excellent too. The Aimo uses Roccat’s Owl-Eye optical sensor, with a maximum sensitivity of 12,000 dots-per-inch. In practice, it tracked perfectly on all the surfaces we threw at it, and our standard drawing test using MS-Paint produced impressively smooth lines and curves even at maximum settings. In practice, this translated into flawless gaming performance and pinpoint accuracy, and the mouse was comfortable to use throughout several long gaming sessions. If there’s one tiny caveat, it’s that you should consider using the Aimo with a gaming-grade mouse mat, as the low-friction feet on the underside are fairly large and need something decent to slide on. As well as allowing a huge degree of performance customisation, Roccat’s Swarm software enables a hoard of aesthetic features. Chief amongst these is the Aimo lighting system, which is said to organically and intelligently adjust the mouse’s illumination according to the actions you take. Although I was unable to detect anything particularly organic or intelligent about it, it’s still a fun feature which gives a distinct wow factor to the mouse. Additionally, Swarm adds Talk FX and Alien FX, features which can be used with compatible Roccat or Alienware hardware to add extra lighting and control options to your peripherals. Criticisms are few. The Aimo is definitely a mouse for right-handers with mid-to-large sized hands, and you’ll need to dive into the driver software to really get the best from it. Ideally, I’d also have liked a dedicated display to indicate the mouse’s current sensitivity level. An extra pinky button wouldn’t have gone amiss either. However, if you’re after a mouse that looks good, and which blends quality and innovation at a fair price, I can wholeheartedly recommend the Kone Aimo. It’s Roccat’s most accomplished product yet.